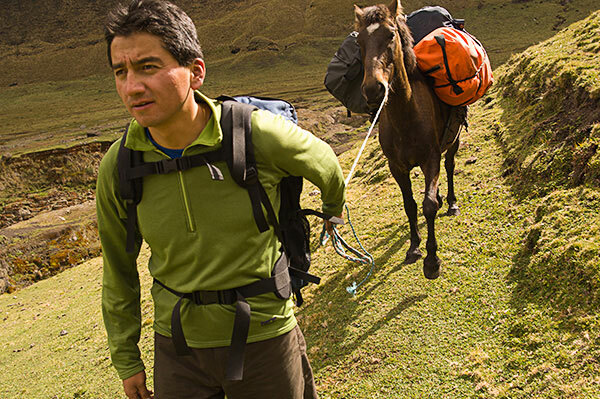 This six day trek through the beautiful Sangay National Park follows the Guarguallá Chico, Plazapamba, La Playa Route, so that we are able to utilize mules to carry our expedition equipment (until la Playa base camp). 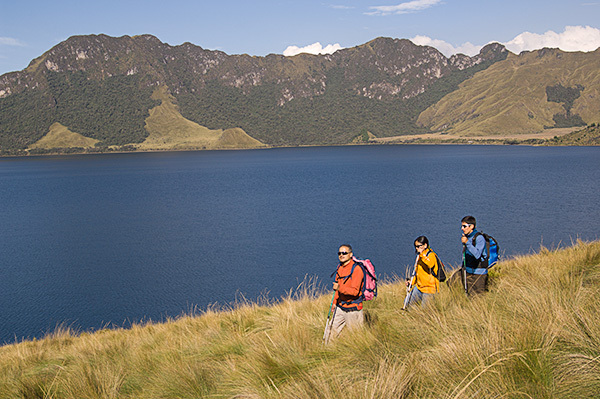 200 km south of Quito lays the Sangay National Park, Ecuador’s largest mainland national park. 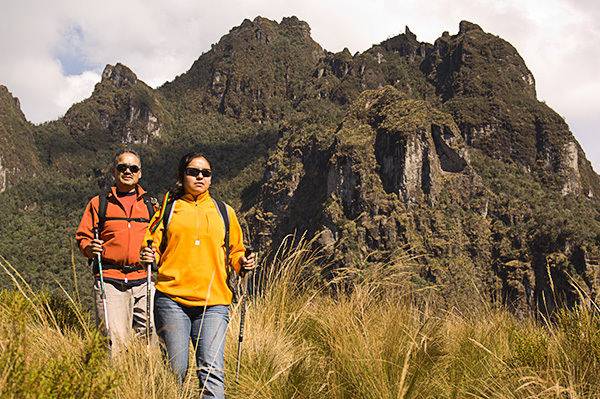 It stretches from the Eastern Cordillera to the Amazon rainforest, and covers parts of three provinces (Morona Santiago, Chimborazo and Tungurahua). 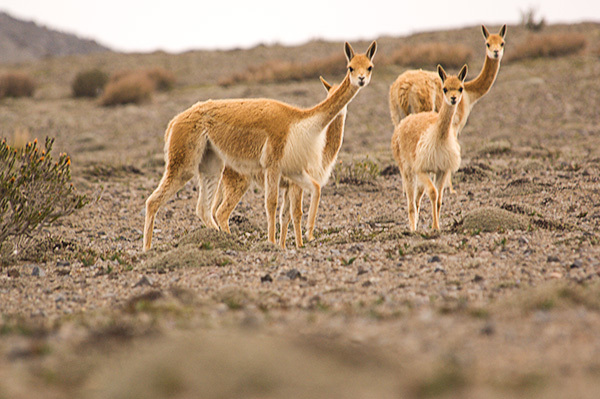 The park also covers a range of ecotypes, from humid and subtropical rainforests, to cloud forests, Andean grasslands and even glacial fields. This majestic wilderness is home to beautiful waterfalls, lakes, rivers, caverns, thermal springs and volcanoes. Two of Ecuador’s most active volcanoes,Tungurahua and Sangay, as well as the extinct volcano, El Altar, all lie within the park. In an effort to protect and preserve the unique beauty and ecological richness, the area was turned into a national park in 1979. 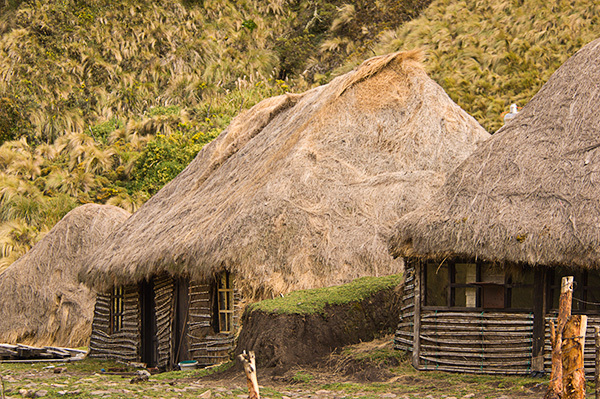 Then just four years later it was designated a UNESCO World Heritage Site, one of the four Ecuadorian UNESCO sites. The others are the Galapagos Islands, colonial Quito and Cuenca. 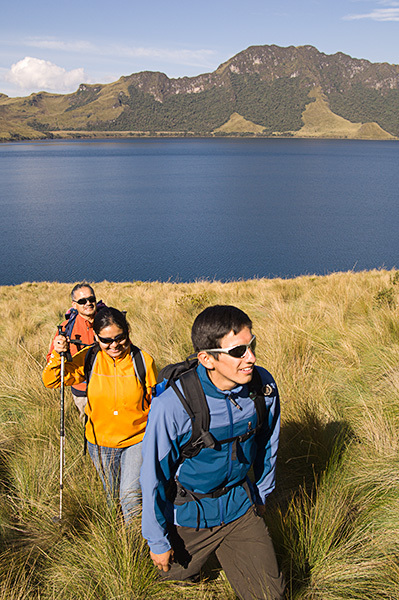 In 1992 the Ecuadorian Government expanded the park to the south, doubling its size to 5,177 km². 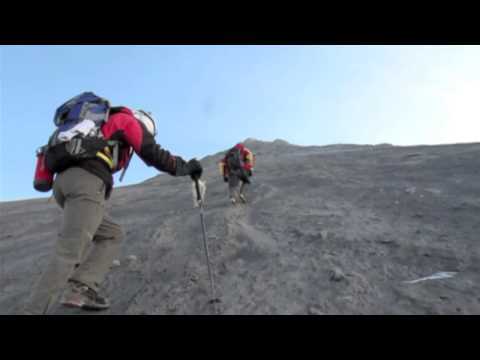 We don’t rope up for the summit of Sangay, since it does not have any glaciers (so no crevasses). It is better to be unroped while climbing, so that we can move around rolling stones that may fall down the slopes. We do bring crampons and an ice axe in case there is snow on the climb. We leave Riobamba early in the morning and drive 3 hours to Guarguallá Chico, a small farming community where we will start our adventure trek (3,200 m/ 10,499 ft). From here we will hike 5 to 6 hours (mule assisted) to La Tranca Pucará (or Ricón Escaleras 3,500 m), where we will set up tents for the evening (3,700 m). After breakfast, we leave the campsite at 9 a.m. and begin our 6-7 hour trek. Today we hike up to the Tres Cruces Pass at 4,000 m, then continue down to Plazapamba. 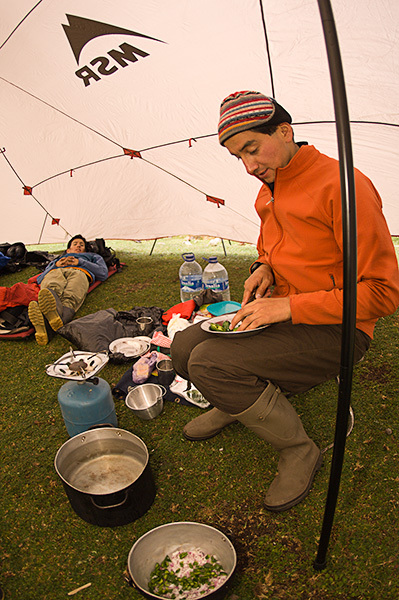 Here we will have dinner and spend the night in cabins (3,800 m). We hike to Yanayacu, the conjunction of two rivers on to La Playa. 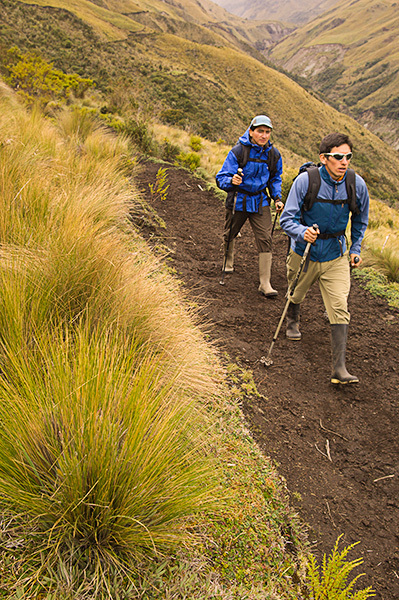 The trek takes us across ridges and rivers to our cabins at La Playa basecamp (3,800 m). We will hike for a total of 6-7 hours. We wake up early at, 2 a.m., to begin our 7-8 hour ascent to the crater of Sangay at 5,230 m. The descent will then take us 3–4 to return to the base camp. 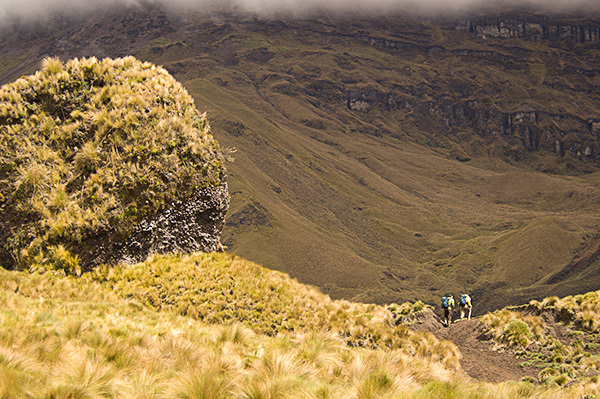 We return to Plazapamba and Zurita Tambo; this hike will take 8-9 hours. We have dinner and spend the night camping. Hike 5-6 hours back to Huargualla, then drive back to Riobamba.